We exist to put out a great product at a reasonable price. The vacation rental software market today is littered with overpriced, junk products developed by folks who don't own or manage vacation rentals. 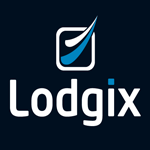 With Lodgix you will get an extremely competitive product without all the feature and pricing bloat in other products. And it helps that we own a ton of vacation rentals ourselves!